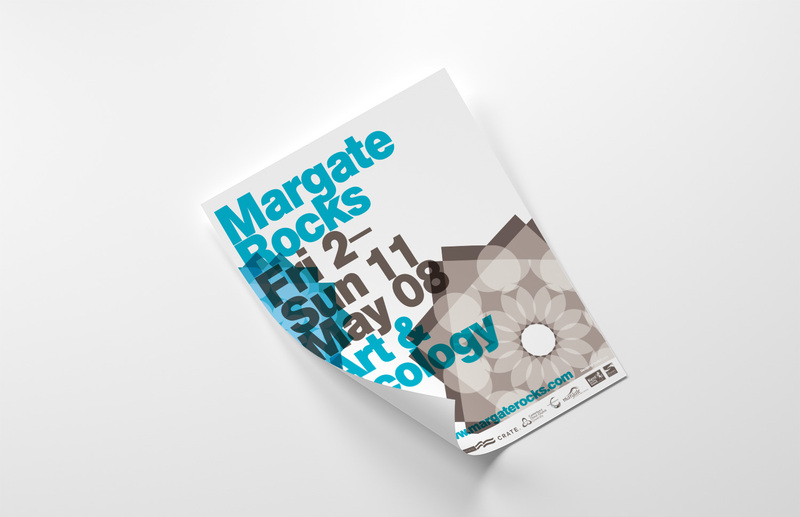 We created a new identity and all accompanying marketing, exhibition material, and way-finding signage for Margate Rocks, a contemporary visual arts festival set at the seaside. From the festival programme, posters and invitations, to the festival website, badges and exhibition graphics. The theme of the festival was ‘Art & Ecology’, so we used the shape of the logo to create floral motifs that alluded to nature. All paper stocks were FSC accredited and printed using vegetable inks.